← Update on the cleaning routine. And welcome to readers who are visiting for the first time following my little blog being featured as weekend reading on Down to Earth – I hope you enjoy your visit and please feel free to comment. I’ve had the day off work today and I’m having a big clean and clear out. We’ve got friends coming to stay next weekend and they will be using Edie’s room. The only snag is that it has got very cluttered. Because we knew it would be empty for 4 months, we’ve tended to drop things in there and Bee has semi moved in – her stuff needs evicting. I’ve spent a couple of hours in there so far and have found all sorts of useful thing we can use: spare toothbrushes, loo rolls, paracetomol, lemsips by the packet, pens, pencils, the music theory books I’ve been looking for for months, spare change etc etc. 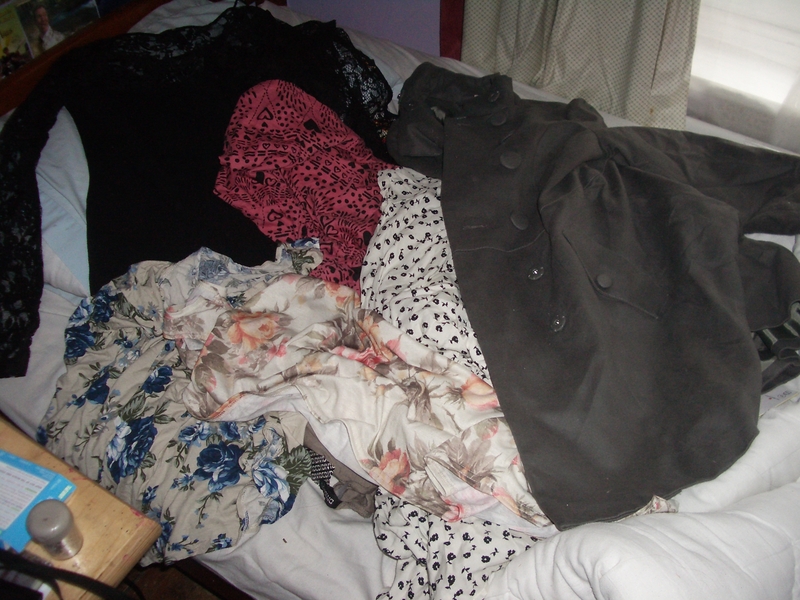 I also came across a bag of clothes – I thought about taking these to the charity shop, but decided to contact Edie first, by messaging her on Facebook with a photo. I’m glad I did, because lucklily she was online and she told me she wants to try and sell these clothes on e-bay. I do want to get rid of clutter and make life simpler, but I think it’s worth checking with the owner first before disposing of stuff. Have you ever thrown anything out and then found the owner still wanted it?